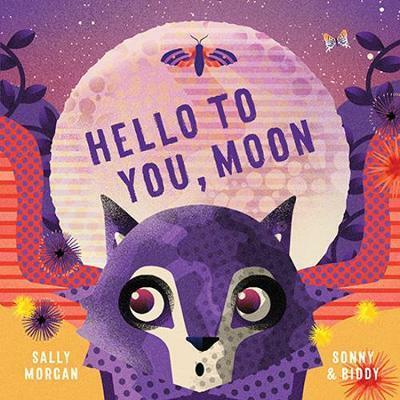 A poetic, rhythmical counting book (but so much more), Morgan’s Hello to You, Moon examines the various creatures which swing, prowl, leap and scurry under the light of the moon. Each creature featured salutes the moon in their own way, from hooting owls to roaring lions. Each spread progresses from one to ten with an accompanying animal family, as the moon journeys from twilight through midnight to the brightening sky of the following day. This would make a brilliant bedtime story for babies through to pre-schoolers, with much to engage, including rhyme, action and animal noises. Sonny and Biddy’s graphic illustrations with an overarching purple palette are the perfect, vibrant accompaniment to the text.